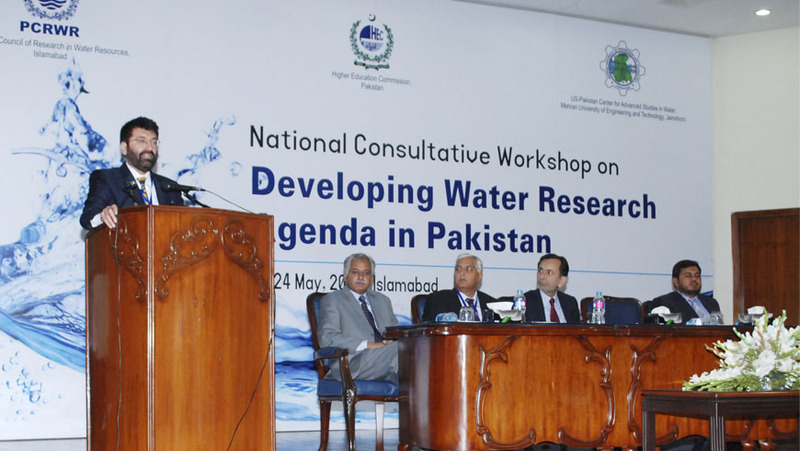 USPCAS-W MUET in collaboration with Pakistan Council of Research in Water Resources (PCRWR) and Higher Education Commission (HEC) of Pakistan organized National Consultative Workshop on “Developing Water Research Agenda in Pakistan” in Islamabad. 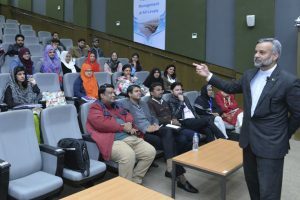 Dr. Tariq Banuri – Associate Director USPCAS-W, University of Utah, USA, spoke on Sustainable Development Goals (SDGs) and Pakistan water security issues. He was of the view that it is imperative to strengthen the institutional capacity of Pakistan and an efficient policy mechanism is required. Mr. Fazal Abbas Maken Federal Secretary for Ministry of Science and Technology endorsed the workshop objectives and stressed that it is an important to have a significant research agenda which can give us meaningful national way forward in terms of preparing to conserve and efficiently usage of available resources. Dr. Muhammad Ashraf, Chairman, PCRWR welcomed all the participants in the opening session and explained the objectives of the workshop. 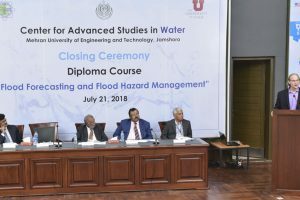 Dr. Bakhshal Khan Lashari, Project Director USPCAS-W, MUET on behalf of Vice Chancellor MUET Dr. Mohammad Aslam Uqaili delivered the message to the participants with narrative important goals and expected outcomes of the workshop. 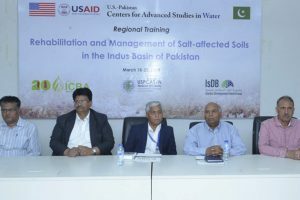 In workshop, academia, water scientists, water managers from the government sector, civil society and NGOs activist from all over Pakistan participated.